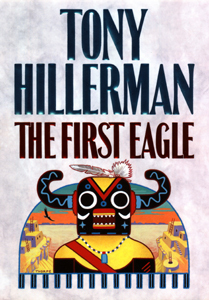 Okay, I’ve read enough Tony Hillerman books by this point in my life that I have a general idea of what’s going to happen. Murder, religion involved somehow, lots of descriptions of desert scenery, the main character is almost killed before brilliantly solving the crime and bringing the murderer to justice. What I don’t expect is for every character to have a working knowledge of microbial biology. No joke, both Leaphorn and Chee recall learning about this in their university days and can carry on a conversation with a well-known biologist, asking questions that I have LOTS of trouble believing they’d be informed enough to ask. It just doesn’t seem relevant to their work or their characters. And it made the book a lot less interesting. Skip this one. Please read other Leaphorn and Chee books, like Skinwalkers or Coyote Waits.